Over the course of 2018, we have been working hard to create a mobile game – one that is simple, fun and can be enjoyed by everyone. We fundamentally believe that games – just like websites – should be accessible to everyone. This is the story of how we created Mancala Voice and what we learnt along the way. With the number of gamers steadily increasing each year, new and innovative products are continuously being created to meet player demand. Nonetheless, disabled gamers are still routinely left behind within the gaming community. Someone who knows this very well is our own Tim Carter, a vision impaired programmer who has been a part of the Freerange Future team for the last 18 months. Initially employed under a Disability Employment Services wage subsidy program facilitated by the Royal Society for the Blind, Tim’s determination, programming skills and enthusiasm for gaming really shone. Through Tim’s lived experience we recognised the need for more accessible games and saw this as an opportunity. With Tim leading the development, we decided to create an accessible game of our own – a version of the classic board game Mancala, for iPhone and iPad. Mancala Voice has been designed for both vision impaired and sighted players and is fully integrated with Apple’s VoiceOver technology. Tim created the game engine based on his use of a physical Mancala game. Through a number of prototypes, we explored various interaction approaches – Apple’s VoiceOver technology that reads and describes screen-based content, touch controls and voice commands so that users can speak instructions to the game. Ultimately we settled on using the first two. As Tim was developing the game, our UX designer Hannah Blake created a visual interface for sighted users. 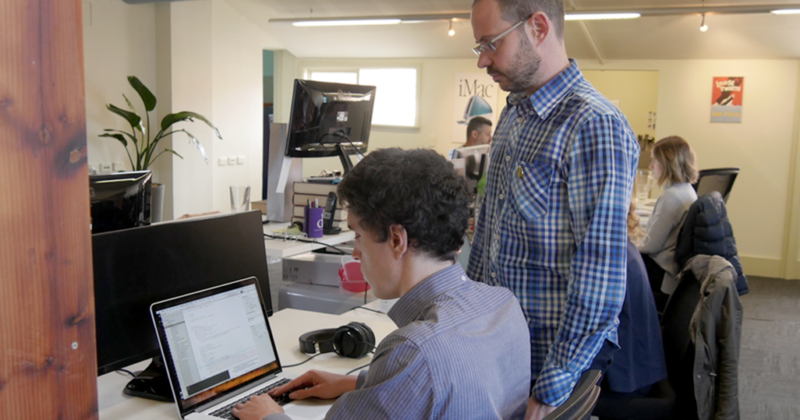 Working collaboratively, Tim was able to integrate the visual design with his game engine and then the team worked to make this interface flexible for different devices sizes. We’ll be continuing to improve and enrich this game over the next few months and then will look for a new challenge. 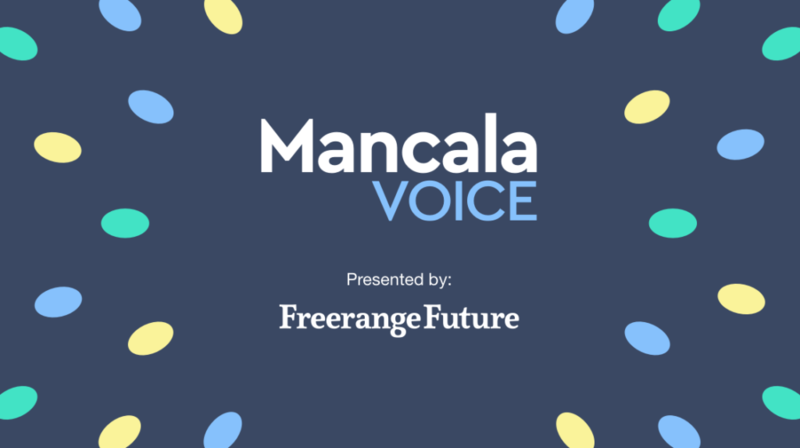 As we launch Mancala Voice, we recognise the importance of bringing inclusion to the table from the start of any digital project. Laying the foundations for an accessible future takes practice and determination, but with the support of the wider community we all have the opportunity to create change.